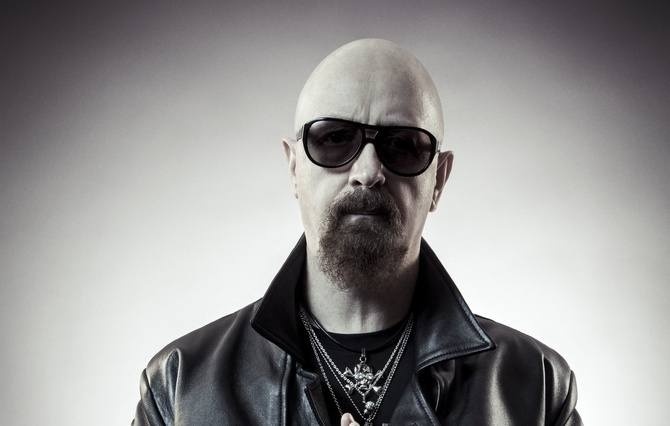 MetalRockNews: Rob Halford: "There is no other band in the world like Judas Priest"
Rob Halford: "There is no other band in the world like Judas Priest"
Judas Priest frontman Rob Halford was recently interviewed by Rock Cellar Magazine, you can read some excerpts below. About if there is a specific Priest album where he felt the band finally hit on a sound that it could use as a foundation to move forward, he said: "That's a very very good question, but it's very hard to pin down in terms of an honest answer, because if I listen to 'British Steel', I go, 'That's it. There it is.' But then I listen to 'Painkiller' and I go, 'Well, wait. This is pretty good.' And then I listen to 'Redeemer Of Souls' and go, 'Wow, this is some of the best things that we've ever done.' There really are no two Priest albums that are alike in terms of definition. It's a broad swath of all of these different styles and approaches and production and mixing and sound; all of the different attributes of Priest are in each of the records that we've made. I think that speaks volumes for this band; there is no other band in the world like Judas Priest. There just isn't. Name me one, tell me one. There isn't. And that's because we've always been curious and we've never wanted to make another 'Painkiller', we've never wanted to make another 'British Steel'. I mean, what's the point? It's been done. We're always looking to see what's next." About how Judas Priest's roots in the industrial town of Birmingham, England affected the band's sound and style, he said: "That's another important question because the background of any band is based on the characteristics and personalities involved and the chemistry. Because of the place where we came from, and it still is to some extent, it's very blue collar. You don't mess around, you don't pose around and you don't try to inflate yourself. You're not really anybody special; you're just good at what you do. I think that's great. That's a great thing. If you can live with that, and if you can appreciate what that means, then that can hold it all together. The place that we are from still has that attribute."